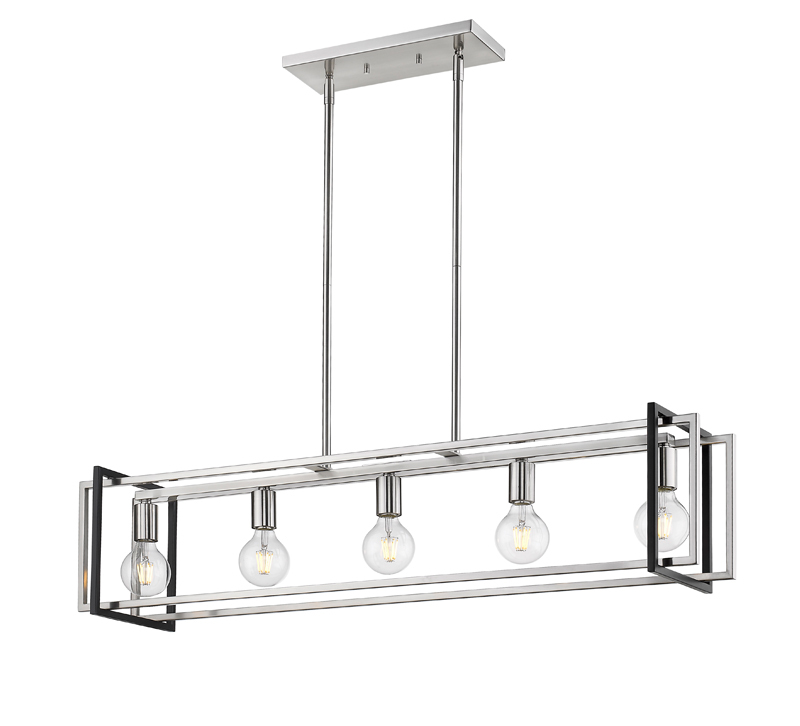 The Tribeca linear chandelier from Golden Lighting is just one configuration in a contemporary, geometric series of customizable layered boxes. These striking open-cage fixtures bring sophisticated style to a space. Offered in a variety of finish options and silhouettes, including two-tone combinations, this clean transitional design pairs well with modern fashions. Shown here in Pewter with Matte Black accents.